The Pharmafocus debate: Is the price of new hepatitis C treatments fair? YES - says Richard Bergström, director general of the European Federation of Pharmaceutical Industries and Associations (EFPIA), who argues that blaming the pharma patent system for hepatitis C drugs’ prices is a non-starter. New hepatitis C treatments have been a regular feature in healthcare news of late, not least because they offer that most elusive of gifts: a cure. There has been much discussion about their price, but also a recognition of the value that these treatments offer to society. If a patient is successfully treated, ongoing treatment costs are nullified, including significant expenditure on care – and that patient may return to work, delivering further economic benefits to society. However, in February the charity Doctors of the World (also known as Médecins du Monde) filed a challenge against the patent for Gilead’s drug Sovaldi (sofosbuvir). The NGO maintained that while the medicine clearly represented a real breakthrough in the treatment of hepatitis C, it was not innovative enough to warrant a patent, particularly at the price that Gilead was charging. Doctors of the World argues that if it wins the patent challenge, this would open the gates for generic companies to enter the field, copy the drug and sell it for a considerably lower price. Doctors of the World is not alone in challenging the patent. To date a total of ten challenges have been registered against the makers of hepatitis C drugs. What is strikingly obvious, though, is that Doctors of the World and others who have fi led challenges against the Sovaldi patent are taking aim at the wrong target. The bottom line is that without their patents, Sovaldi – and other drugs such as Janssen’s Olysio (simpeprevir) and AbbVie’s Viekirax (ombitasvir/paritaprevir/ritonavir) and Exviera (dasabuvir) – would never have been developed, and millions of people with hepatitis C across the world would be left without the possibility of a cure for this often-debilitating condition. This selective memory approach to the issue offers no comfort to hepatitis C patients. In the case of the Doctors of the World patent challenge, it also points to the lack of affordability of Sovaldi as being a result of its high price. However, what this argument ignores is that the manufacturer has differentiated the price across the range of countries where the drug has been provided to patients. EFPIA may not be in a position to assess the validity of the claims against Gilead’s patent, but we have serious concerns that these proceedings are challenging a patent on grounds that are wholly unrelated to the patent system. To put it plainly: the price of a product plays no part in the decision of a patent office to grant a patent. Medicines prices are in fact determined by those who buy them. This means, for the most part, that prices are determined by governments – and not patent offices, who have no influence over prices whatsoever. EFPIA acknowledges that European governments understandably may be concerned with debt and liabilities in different areas, including healthcare. However, the overall medicines bill in Europe is currently under control and does not pose a threat to the sustainability of healthcare financing in Europe. In fact, overall medicines across Europe represent less than 15% of total expenditure – although variances exist among therapy areas. To achieve both economic and health care efficiency, it makes sense to limit spending on low benefit areas and enhance spending on cost-effective areas, such as primary care and medicines, especially in areas of societal priority. We must ensure that health spending is as smart as possible, which might mean greater upfront investment, but higher efficiencies in the long term. The pharma industry is prepared to play its part in getting this right by showing flexibility when engaging with payers around the world. The industry’s objective is not to promote spending on health or medicines at all costs, but decisions relating to public resource allocation should be informed by understanding the trade-offs involved where possible. It must be underscored, though, that healthcare budgets, drug prices and the patent system are distinct and separate entities. What the patent system is in fact designed to do is to support the development of new drugs for patients by offering firms an incentive to invest in innovation. It also serves to ensure the dissemination of scientific information to encourage research and the development of further innovative and even more effective drugs for posterity. No suitable alternative system has so far emerged that is capable of engaging comprehensively with the clinical trials process to bring new medicines to patients. Questions may continue to be raised about the price of innovative drugs, but mostly this will be done while ignoring the medicine’s significant value to disease sufferers and the wider society. There is a need to move away from traditional categorisation considerations and to embrace a more holistic approach to healthcare issues. This means abandoning the silo mentality of focussing solely on the price of drugs and moving towards more joined-up thinking that includes the outcomes and benefits for patients and society. NO - says Katy Athersuch, medical innovation and access policy adviser at the MSF (Médecins Sans Frontières) Access Campaign, who argues that high hepatitis C treatment prices are hurting us all – and should prompt fundamental changes to how we fund pharma R&D. April should have been a month of celebration for people living with hepatitis C virus in the UK. NICE recommended that the drug Sovaldi – a faster, more tolerable and more effective treatment for the disease – should be made available for patients on the NHS. Until recently, hepatitis C treatments were long and involved weekly injections. Side effects were so toxic that some people chose to stop treatment early or never even start. For those that persevered, the cure rate was only 35-80 per cent. Yet instead of celebrating, patients are left waiting. In an unprecedented move, the NHS is delaying the introduction of the treatment for all but the most severe cases. Why is this occurring when the treatment is so clearly needed? The answer is the sheer exorbitance of the price. At £35,000 per patient just for Sovaldi, it would cost £1 billion for every 20,000 patients treated. The NHS has responded by saying that this is simply too much. So why is Sovaldi so expensive? Peer-reviewed estimates indicate that a full three-month treatment course could be manufactured for around £68 – well under £1 per pill, compared to the astonishing £670-per-pill price tag in the US. The high price is completely unrelated to the cost of manufacture, and entirely related to the monopoly that pharmaceutical company Gilead has on the sale of the drug. We often hear that high prices are necessary for pharma firms to recoup the investments they make in developing drugs. While we don’t know the exact costs of drug research and development – because companies won’t provide transparent data – economist Jeffrey Sachs estimates total private R&D costs for Sovaldi are as low as £200 million. Even with limited access to treatment, in one year Gilead has already earned in sales revenues 34 times that estimated level of investment. Having presumably recouped its R&D costs long before reaching almost £7 billion in sales of Sovaldi last year, Gilead now argues that the price of Sovaldi represents the ‘value’ of cost savings from ‘averted’ future treatment needs, including rare, end-stage treatments like liver transplants. Why should we accept Gilead’s ‘value’ defence of their prices? We certainly don’t expect the price of a root canal to be based on the price of a full set of dentures, or the price to remove a pre-cancerous tumour to be based on the price for a full course of chemotherapy for late-stage cancer. Crucially, the value these drugs provide to the millions who can’t access them is zero. In reality, Gilead’s pricing strategy attempts to reap as much profit as possible under a system that allows unfettered profiteering, regardless of the repercussions for public health. Gilead can charge these exorbitant prices because it has been granted patents that give it monopoly control over sales of the drug. But these patents are not even valid under the laws of some countries. In India for example, the patent office rejected Gilead’s application for one of Sovaldi’s key patents because it did not meet India’s patentability criteria, which allows patents for demonstrably ‘new’ drugs but not for incremental innovations. And it isn’t just UK patients losing out. Chronic hepatitis C infection affects an estimated 150 million people worldwide, and is responsible for approximately half a million deaths each year. 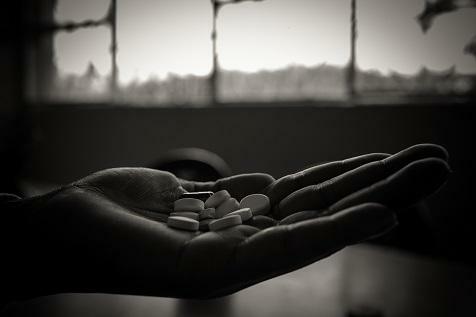 While Gilead has made the treatment available at lower prices in some countries through ‘tiered pricing’, and through a voluntary licence that permits generic competition in other countries, the discounts offered are not sufficient to allow widespread treatment scale-up by ministries of health or other providers. An estimated 75% of the world’s poor and over 70% of people living with hepatitis C live in middle-income countries (MICs). But prices for Sovaldi in 50 MICs locked out of Gilead’s voluntary license –where more than 49 million people live with hepatitis C – can range from £1,300 to £10,000 per treatment course. Some countries will have access to prices of £200 per month or less through generic companies with which Gilead has entered a licensing agreement, but for countries with low per capita income and high inequality, this significant mark-up is unaffordable. Though it may sound like a discount compared to the colossal prices in the US and UK, Gilead’s tiered pricing still unduly impedes access. We shouldn’t be comparing the cost-effectiveness of liver transplants; we should be testing and treating everyone in need. This is an infectious disease and reducing the reservoir of the virus in the population should be a public health priority. Delayed and denied treatment due to unaffordability has ignited a global outcry, but the reasons we continue to face high drug prices are rarely discussed or challenged. We are trapped by the way we finance the development of medical products. Instead of asking how pharma companies accountable to shareholders should price treatments of public health importance when the sky is the limit, we should ask why we accept an R&D system that allows companies to charge high prices indiscriminately. How can we develop drugs that don’t threaten to bankrupt our national healthcare systems or exclude millions from affordable access in other countries? Doing this will mean rethinking how we fund the costs and risks of drug development, rather than relying on monopolies to incentivise the industry to deliver new treatments. Unless we start to look at new models for financing R&D, we will remain beholden to a system that inevitably leads to higher and higher drug prices. We must have greater transparency about R&D costs, as well as greater accountability, oversight and intervention to ensure that drug companies do not simply sell drugs at the prices they choose. We all want drug companies to successfully develop new medicines, but this success cannot come at the expense of ensuring access to the innovations that people everywhere need.